Create your perfect wedding; Moposa is the easiest way to manage your guest list, keep track of your numbers, and find great ideas for your wedding wherever you are. 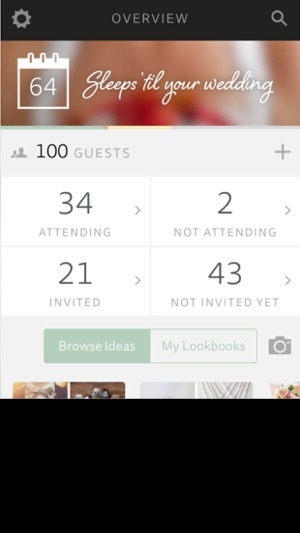 - Manage your guest list. - Check your numbers at a glance. - Keep track of your guests’ RSVP status & contact details. - Add guests manually or from your phone contacts. - Create your own lookbooks. - Browse thousands of great ideas in The Look. - Upload your own photos. App keeps crashing when I try to import from my phone book. Really needs an update when it's promoted by top hotels as being useful for planning! Great app, love the look books, very user friendly. Best wedding app by far!